It was May, 1981 and I was tired of running my Hartman sprint kart in “big track” (i.e., Enduro) races. 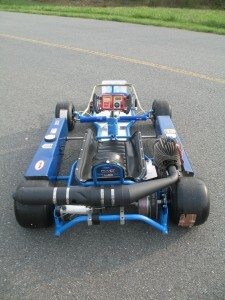 Not being flush with cash, I shopped around for a decent lay-down kart. 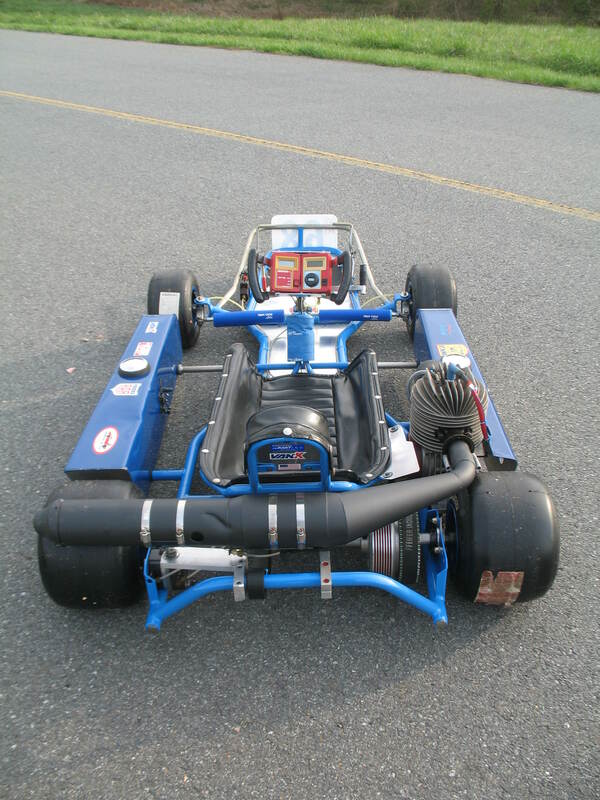 Turned out my friend Steve Poole of Eastern Karting in Rockville, MD had just what I was looking for…a 1979 (I think) Van-K. With a DAP T-72, she was in decent shape and the price was right…$1,100.00. 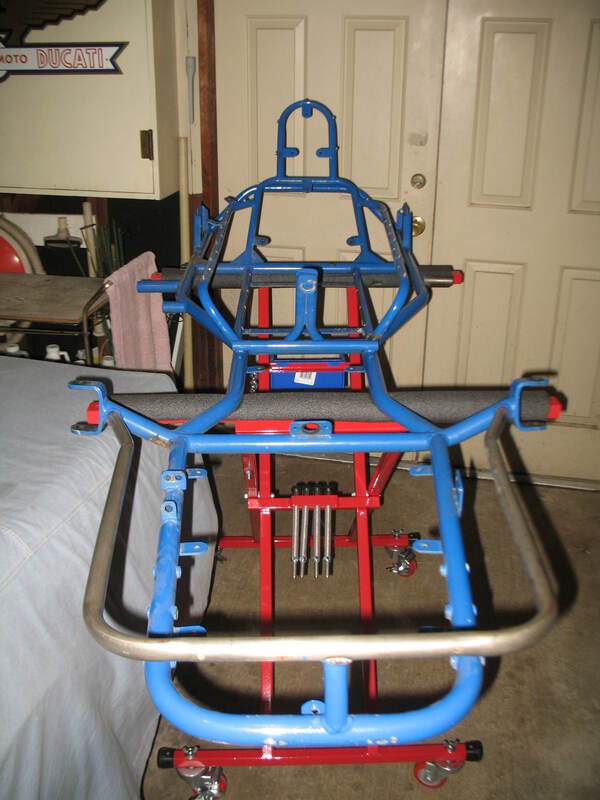 Upon bringing her home, I found a number of flaws…most prominently; the frame was cracked in a number of places, primarily where the upper seat rails join the main frame tubes. So off to my buddy Ken Keir we went where the cracks were repaired and some well-placed reinforcing braces, installed. 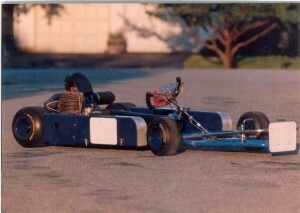 After doing a complete tear-down and restoration, I ran this kart for the next 5 years, primarily at Summit Point with an occasional foray to Pocono. I’ll never forget the first time I drove her. 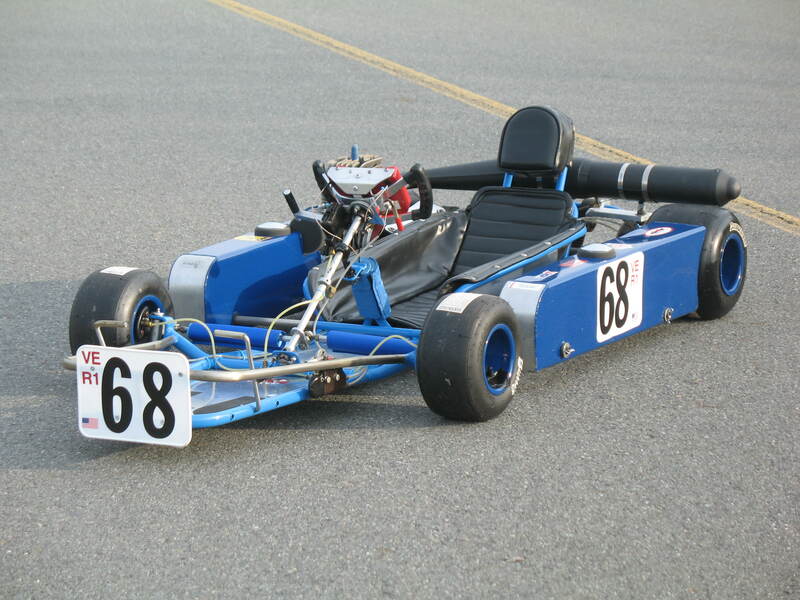 Approaching turn two at Pocono, I suddenly sat up because I couldn’t see the apex…at least that’s what I thought. 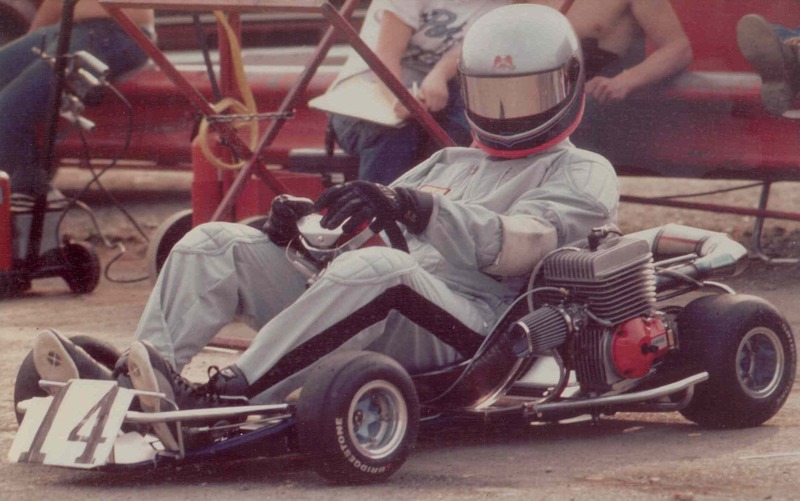 I was so used to the way things looked from the seat of the Hartman that, in the lay-down, everything looked VERY different! 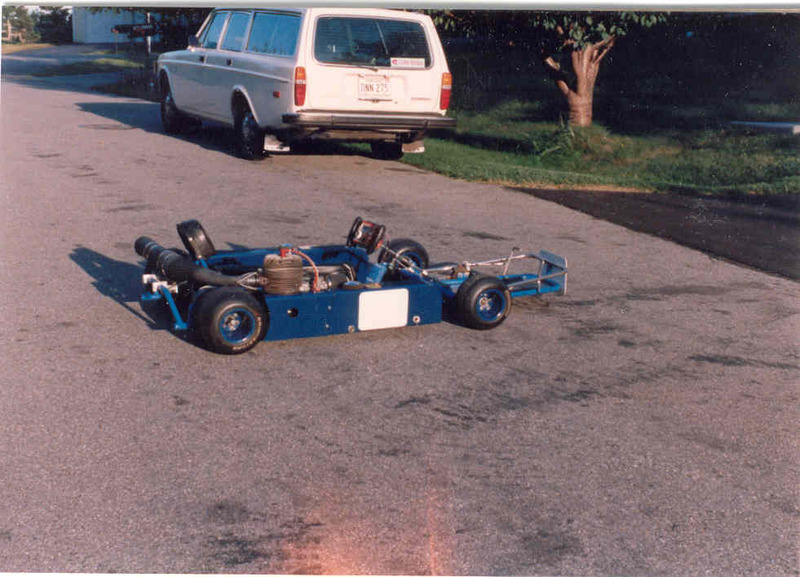 In 1986 I stopped driving following a crash that prang’d my baby. For the next 18 years she sat in my basement, basically forgotten. 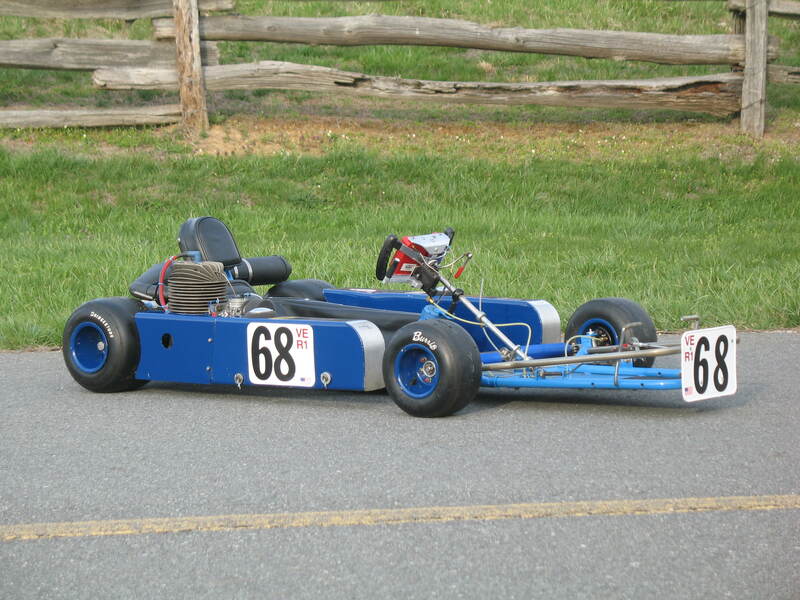 In 2004, I gave her away…in exchange for some paint-less dent repair by a friend of mine on one of my cars. 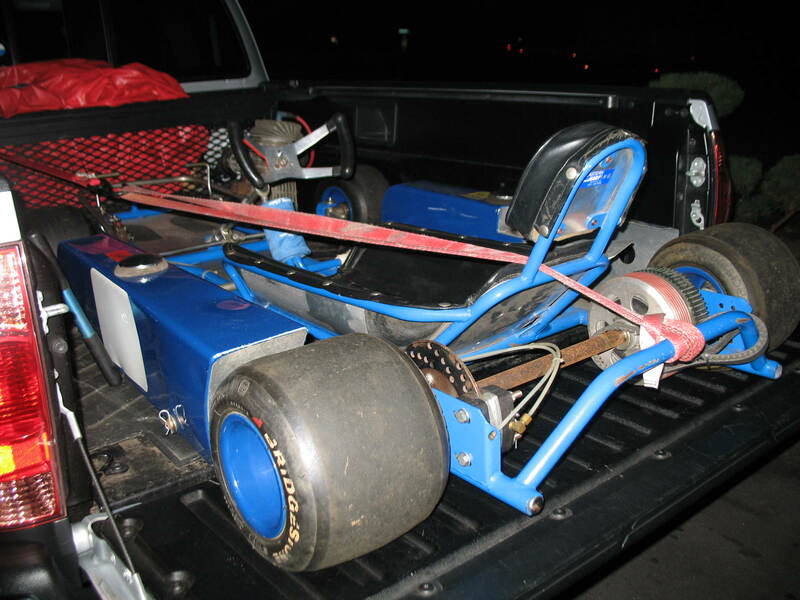 I hoped I’d never see her again because he told me he was going to convert her to a sprint kart for use by his 10 y.o. 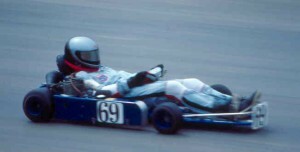 boy! 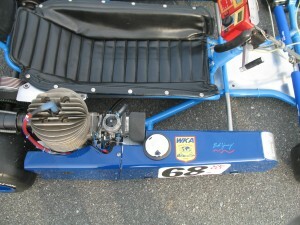 Then, in June, 2007 while at the Gold Cup Vintage car races at Virginia International (VIR), I saw 60+ “vintage” karts that were putting on an exhibition. Three of these karts were just like my Van-K! Argh!!! If only I hadn’t given it away… About a year later, I bumped into my buddy at a car show. Without prompting, he said he still had the Van-K and that it was exactly the way it was when I gave it to him 4 years before! Hadn’t touched it. 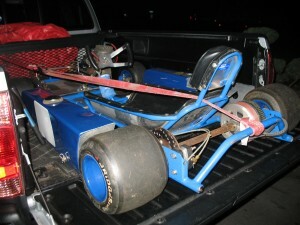 With my heart pounding, I said if he ever wanted to sell it back to me, let me know. “Sell it? Hell, I’ll just give it back to you.” Oh my! Two hours later it was back home. 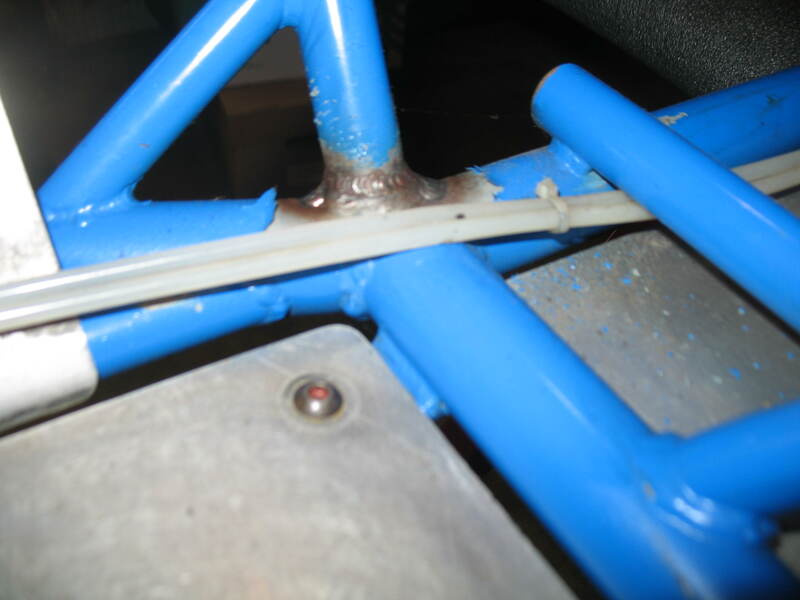 Since then, it’s been back to Kenny for more welding, reinforcing and frame straightening. 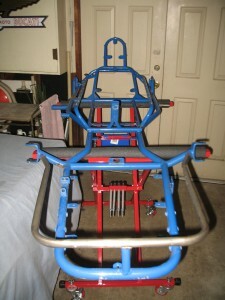 The frame was powder-coated. 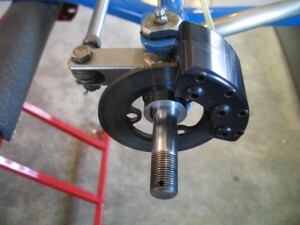 The Bystrom clutch and DAP were freshened up by Kart Connection Plus (which, coincidentally, bought Steve Poole’s entire inventory when he got out of the business years ago). 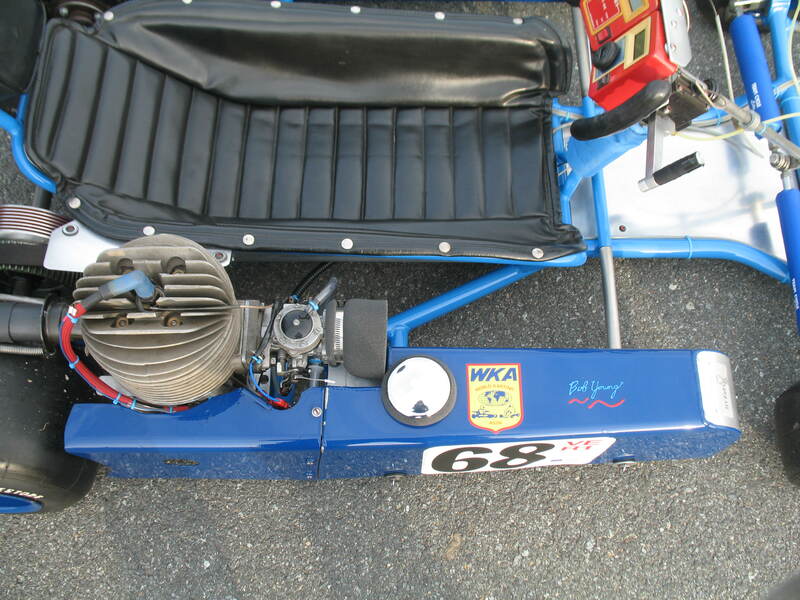 Front brakes were added to comply with Woodbridge Kart Club (WKC) vintage kart rules. Otherwise, she looks just like she did 30 years ago. 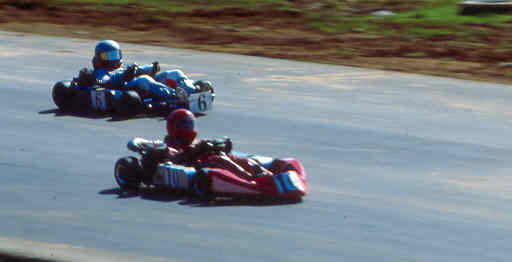 This year I plan on running in WKC’s “Vintage Euro” class at Summit Point, VIR, and New Jersey Motorsports Park. I can’t wait. Of course, I still need to lose about 20 lbs!